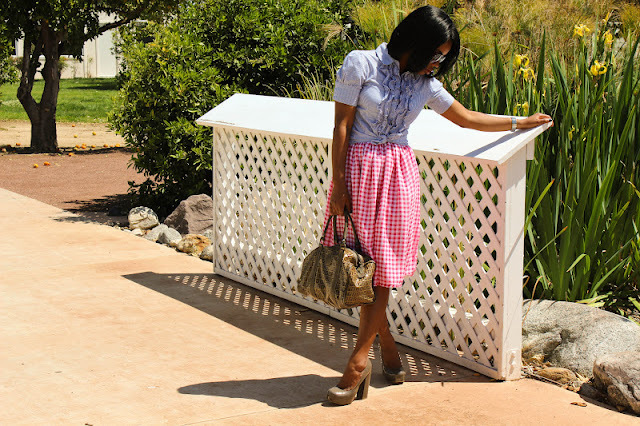 When it comes to skirt hems, Hi-Lo is the way to go. For the last Sew Stylings Sundays Poll, I wanted your opinions on the best way to rock one of my latest purchases. I've been wanting a hi-lo hem skirt for a while. However, the asymmetrical hem trend is really growing on me. This skirt was another hasty purchase but I'm a sucker for hi-lo hems, bird prints, and navy blue. When I finally tried it on, I wasn't sure how I felt about it. I think I expected the hi-lo to be a little more dramatic and a little less short. 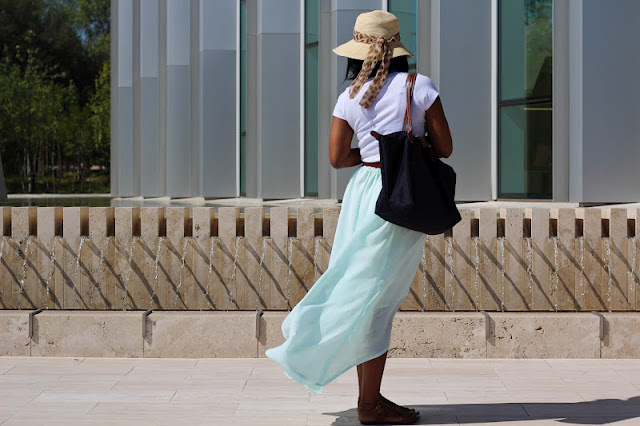 I played around with it and discovered that it looks pretty good worn as an asymmetrical hem skirt. 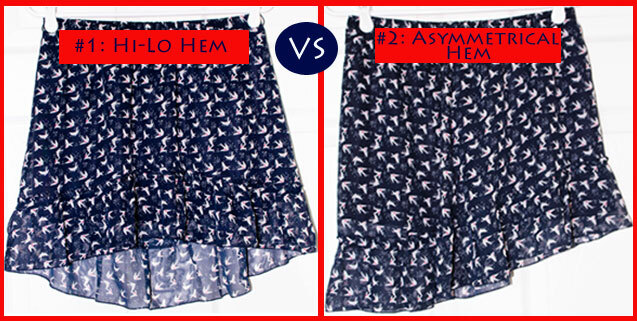 Hi-Lo Hem or Asymmetrical Hem?